Tesla's stock was doing an electric slide Tuesday following a report about reliability concerns for the company's new Model X SUV. Consumer Reports published a piece about how early buyers of the Model X are having problems with the vehicle's falcon wing doors -- one of the signature features of Tesla's crossover. Drivers also reported issues with the climate control features, distortion created by the Model X's windshield (which actually curves up into the roof) and malfunctioning second-row seats, among other things. Shares of Tesla (TSLA) fell more than 2% -- on a day when fellow car makers GM (GM), Ford (F), Fiat Chrysler (FCAU) and Toyota (TM) were rallying along with the broader market. But is this much ado about nothing? The first iteration of Tesla's cars have always had some kinks. And Tesla acknowledged that some Model X owners have problems. "While we have seen some issues with early Model X builds, the issues are not widespread, and we are working closely with each owner to respond quickly and proactively to address any problems," a spokesperson for the company said. Even Consumer Reports conceded that problems with new models are fairly common for any auto company -- let alone an industry upstart like Tesla. The publication added that Tesla deserves credit for quickly owning up to the glitches. "The saving grace for owners has been Tesla's attention to customer service. Almost every survey respondent made note of Tesla's rapid response and repair time," Consumer Reports wrote. Still, the negative publicity from Consumer Reports comes just one week after Tesla announced a recall of 2,700 Model X vehicles due to a seat issue. More bad news would be unwelcome -- especially as competition is heating up. GM, which already sells the Volt, is launching a new electric model called the Bolt later this year. And a little company named Apple (AAPL) reportedly just hired a former Tesla engineer to develop an electric car for the maker of iEverything. So Tesla can't afford to have many more glitches -- especially if gas prices remain this cheap for the foreseeable future. There simply isn't as compelling an economic reason for mainstream consumers to switch to Tesla's expensive electric cars right now. Tesla is still a niche luxury brand. 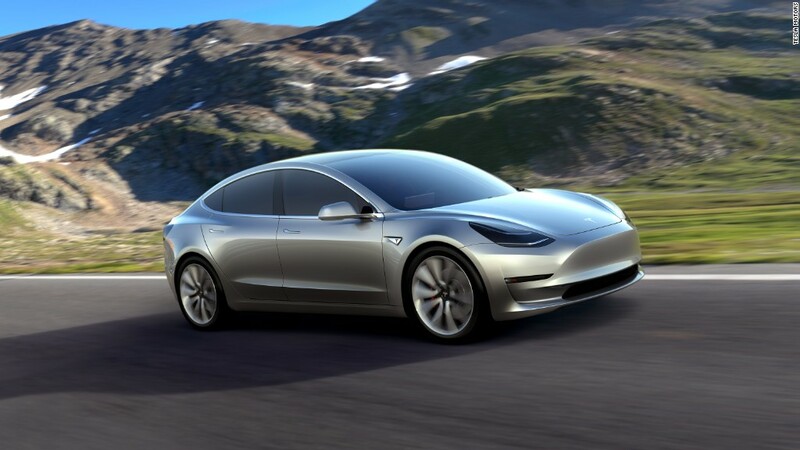 That's why some investors are worried that Tesla's current valuation of about $33 billion is only justifiable if the company's upcoming Model 3 -- Tesla's more affordable car -- is a huge hit with consumers.